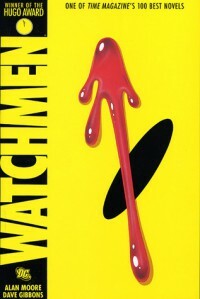 Watchmen is a gripping, extremely complex graphic novel. The term "comic book" does this no justice, not with the precise layering of the Black Freighter pirate story, Veidt business ventures, Gloria/Malcolm marital arguments, Hollis Mason autobiography, Jon Osterman backstory piece, and other threads expertly woven into Moore's tapestry. 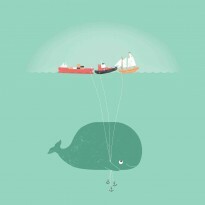 Every metaphor for human significance (i.e. Dr. Manhattan and Laurie Juspeczyk on Mars) rang beautifully modernist, only to be destroyed by a terrifying, cruel -- and yet, even if by bizarre and psychotic means, justifiable -- conclusion. And with the Karnak revelation in Ozymandias's Antarctic stronghold, Watchmen sealed its spot on my favorites list.